Canis lupus familiaris: Diogi is a dog, and even if she's a fairly small one (being a Corgi/Bulldog mix) this means that she has some traits that can take on a human's- including her seemingly boundless stamina, unwavering loyalty, sharp senses, and even sharper teeth. By expending an Action Point she can either use perception to track at a +2, or on a successful attack roll inflict a bleeding wound that adds the temporary aspect "Bleeding" to her opponent- they must roll Pdef each round to avoid losing health. Man's Best Friend! : Diogi has unwavering loyalty and love for her human companions, and is especially trusting, hard to sway from them, and will put herself in danger for their sake without regrets or second guesses. Unfortunately, if her masters get angry at her, she's prone to moodiness, moping, and sadly sitting in corners while whining. Dog's Attention Span: Diogi is easy to please, being a former family pet, but on a similar note she can be easily distracted from instructions or situations by a host of other things, including squeaky sounds, small animals, dead things that smell interesting, and so on, so forth. This goes double if she is hungry. 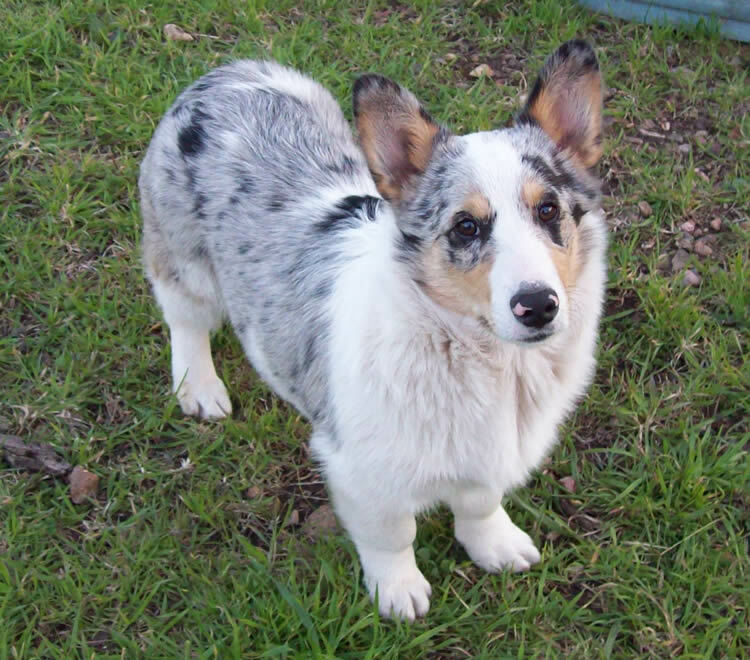 One-half a Corgi: Diogi is a Corgi mix, and Corgi's are pretty small. Even though she's a very hearty, healthy dog with all the athletics of the herding Corgi, she still only weighs 26 pounds and has no hands or ability to use or even recognize tools. She cannot open doors, or push objects, or move things without using her mouth. At least she takes up less space. Diogi must have a doggy-sized sidesaddle pack to carry anything. Good masters, good family. Diogi like life. Little masters play and love, big masters feed and protect. Then one day, things are different. Diogi stay home while masters go, but masters are scared. Diogi confused, but Diogi wait. But masters never come back. So Diogi climb up coach (bad dog!) and push on window screen (bad!) until she get outside, then Diogi go to look for masters. Diogi doesn't find masters, but finds many things. Nobody yell at her for going into trashcans or eating roadkill anymore. No more people anywhere. Diogi wanders, and looks for masters still. Maybe find new masters, and love them. Diogi is a Corgi-mix mutt. She weighs 26 pounds and stands a little over a foot in height. She is two years old, spayed, and housebroken.